This was one of my FAVOURITE additions to the party and it cost next to nothing! Not to mention, it was super easy to make! You can do whatever style of font you prefer for this sign, although we chose to go a little more “fun” and add some detail to the letters to make it feel more like a traditional carnival sign! Once you’re done making the base for your sign it’s time to poke the holes for your lights! I found it easiest using a ballpoint pen (the thickness was perfect, not too large, so the lights stayed well in place!). 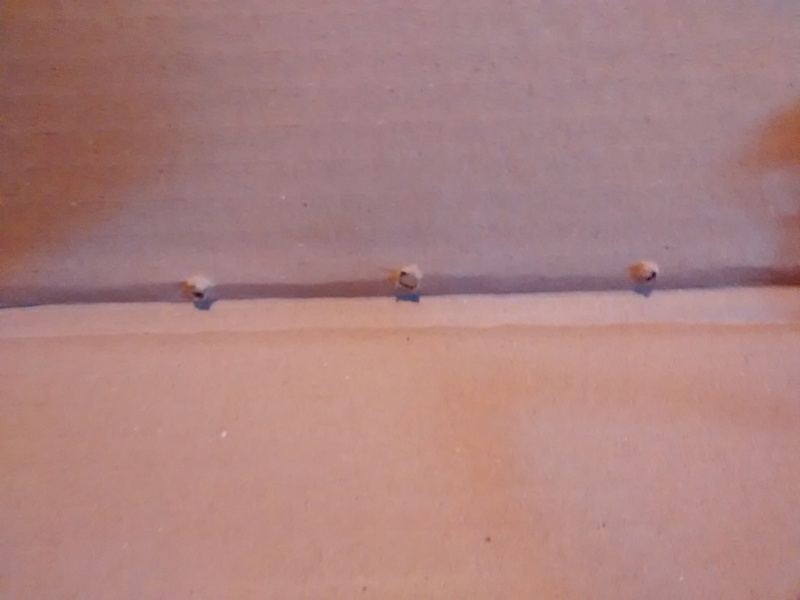 I measured out the distance between the lights, which was about 2″ and then started popping my holes all the way around the box. Don’t worry if you aren’t entirely precise here as the lights are fine if you need to stretch them, or have to leave some excess wire hanging (I promise you won’t see it when you’re all done). Now, your holes are all done so it’s time to start putting your lights in! I used a strand of Christmas lights that had multiple light settings on them so that I could set it to “twinkle” and really get the Carnival effect!! Let me start by suggesting you TEST your light strand before this step, you DO NOT want to plug it in when you are done only to see that they don’t work! Start with the bottom right corner using the end of the light strand that has the connector piece (where the “L” is) this way you will end with the plug end hanging out. 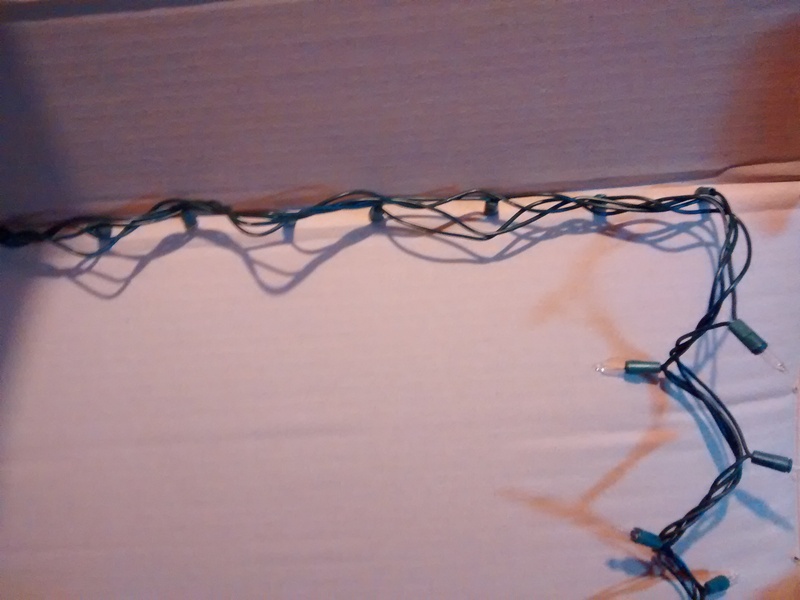 Once I was all done placing the lights I used some regular packing tape to help keep it in place. I spaced it out about every foot or so and just plopped the piece right over the wire. This step just helps to ensure the lights don’t weigh down and fall out of their holes once the sign is up. Ta-Da!!! The finished product! This was during the day so we didn’t have it plugged in yet, but you can still see it’s beauty! 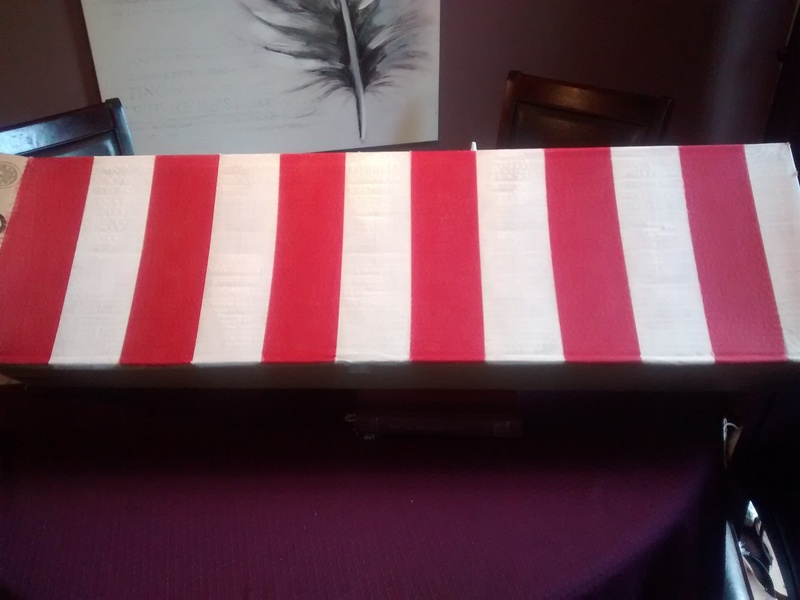 We set it on top of my garden shed, which was draped with a red tablecloth to make it look more like a booth. We got endless comments on it throughout the day, and even more once it was plugged it at night. You can really take this any way you want, I mean you can make a Christmas sign, a scary Halloween sign or even a fun Happy Birthday sign! Be creative and have fun!